Investors in beverage companies may be able to continue to sip their sweet profits even if recently proposed taxes on sugary drinks are enacted, according to analysts at S&P Equity Research. 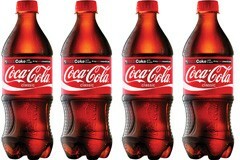 The financial impact such a tax might have on the industry appears to be coming into clearer focus -- and it has caused companies such as Coca-Cola (COKE), PepsiCo (PEP), Cott (COT), Dr. Pepper Snapple Group (DPS) and Coca-Cola Enterprises (CCE) to hasten diversification of their product lines away from soda in an effort to dampen the impact the tax might have on their profitability. While the nation continues to debate whether taxing sugary beverages would be an effective measure in the fight against obesity or an ill-advised effort that would disproportionally target low-income families, the potential effect on beverage makers would be more direct: Higher taxes mean lower profits. However, the degree to which the stock prices of beverage companies would be diminished by a beverage tax may be less dire than has been feared, say S&P Equity Research analysts. First, since consumption of soda has been in decline for some time, many firms have factored in some loss of revenue from those products and have adapted accordingly. Recently, companies bowed to pressure to remove sugary beverages from schools, showing that they are responding to Americans' shifts in attitudes about soda consumption. "The companies see consumer trends shifting toward healthier fare and are focused on meeting the increased demand despite current disputes over soda taxes," says S&P Equity Research analyst Esther Kwon. "Cott Corp., a private-label manufacturer and more of a follower in the industry than an innovator, has moved to develop new products in energy and sports drinks, and sparkling flavored waters. Both Coca-Cola and PepsiCo have been diversifying their businesses with healthier alternatives by innovating and/or strategically acquiring companies across diet, light and healthier beverage categories." This type of diversification could position beverage companies to profit handsomely as consumers switch to new categories of drinks, thus countering lost revenues that would result from a tax. Secondly, enactment of a soda tax isn't assured -- at least not right away. There is evidence of strong opposition to a national tax on soda, and getting additional legislation passed in individual states will take time. There are 29 states, including Arkansas, Tennessee, Virginia, Washington and West Virginia, that tax soda already, and it's unclear how much more these states would add to what they already charge, or whether their citizens would support such increases. Many of the new soda tax proposals, such as New York's .01 cent-per-ounce tax, are meeting stiff opposition and are likely to fizzle in the current political and economic environment. But that doesn't mean such proposals would be dead for good. "Levies on sugary drinks could increase over time as tax proposals may meet less resistance in an improved economy," says Kwon. Lately, beverage companies have been doing well. According to Morningstar, through the first quarter of 2010, Coca-Cola Enterprises was up 36.3%, largely off the news that Coca-Cola was buying several of its bottling franchises; Dr. Pepper Snapple was up 23.3%; PepsiCo was up 9.8%, Coca-Cola was up 9.3%. Only Cott lagged the group, showing a loss of 1.3%.